Im in the process of redoing the brakes as well. I have the calipers apart and they are really grimey in there. And three of the pistons are jammed n there. My intentions were to just rebuild them but I am second guessing tat now. I like original parts vs remanufacture ones. But I think I might bite the bullet and do reman ones. I have searched around various sites and they seem to be around the 70-80 dollar range. My goal was to split them then have them powdercoated but reading says not to paint since it will hold in the heat. I did read zinc plating though. I am not sure how expensive that is. I want to do the best but the most cost effective option. If this was your car would u do a rebuild or reman ones? Also where have you bought the reman ones? bought the reman ones? thanks"
rebuild....or at least take them apart to see if the bores and pistons are ok. if so, clean'em up, put new seals in and use them. if not, exchange them for store rebuilt ones. I send all mine out to Centrex in So California. I'll post before/after pics. 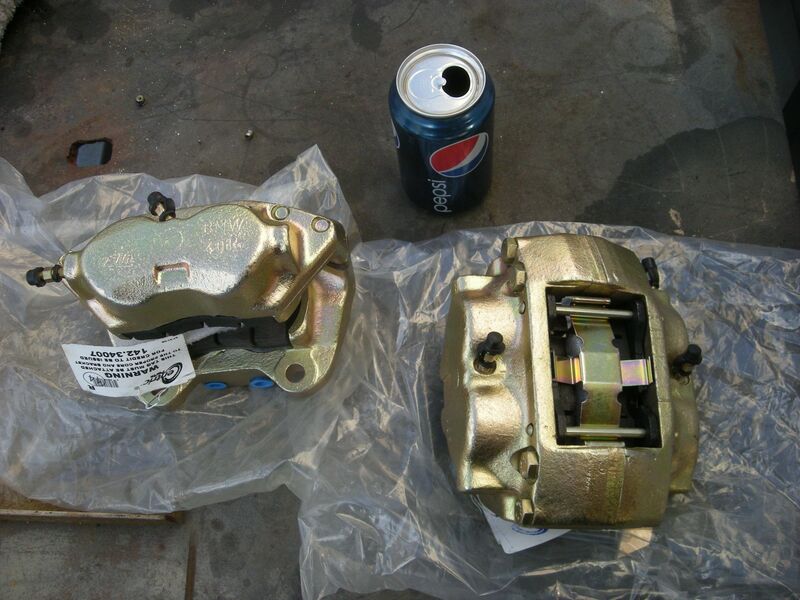 They split the calipers, cad2 plate them, install new seals, pistons, pads, etc and they come out like new. They have our calipers on the shelf ready to go in exchange for your rebuildable cores. I don't have a price for you, it was part of a trade for services I did but it's way reasonable and you get parts as good as new. AutohausAZ.com has OE Rebuilt calipers for $55. Don't know if there's a core charge or not. Ive been emailing blunt back and fourth. decided to go with reman. 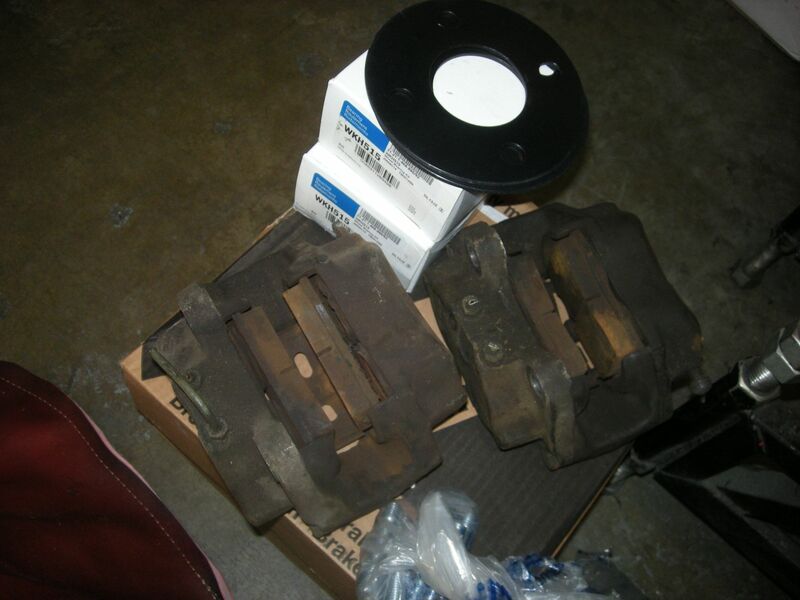 I am getting all the pads rotors calipers drum and shoes from him at a package deal. Thanks for all those that offered assistance.